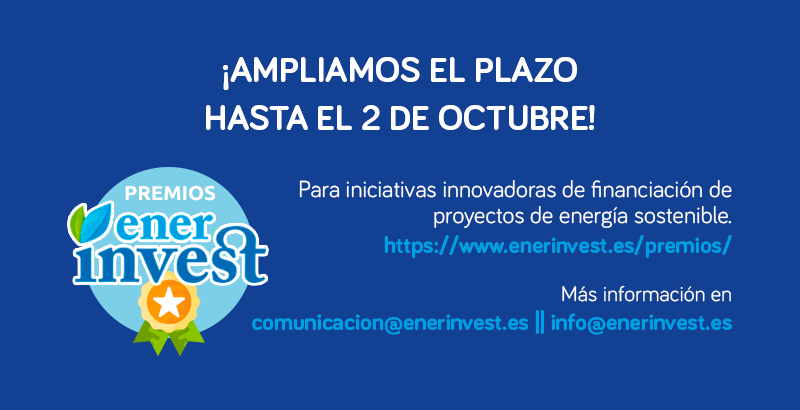 The ENERINVEST platform will give an opportunity to key players developing innovative financial projects and formulas to promote efficient, renewable and sustainable energy. Award for the best action for the promotion of sustainable energy that has implemented an innovative business model or model in its financing, executed in the public sector. A prize for the best project in sustainable energy that has implemented an innovative business formula or model in its financing, executed in the private sector. In recognition of the best mechanism or formula for innovative financing of application to sustainable energy projects, carried out by a financial institution or investment.